sister may b you could space out the postings! we had nothing for weeks and then 3 in a row! : ) may be you could do a post every friday? Ditto with teresa -- lovely! Looking nice mashallah! Beatuiful abayas! 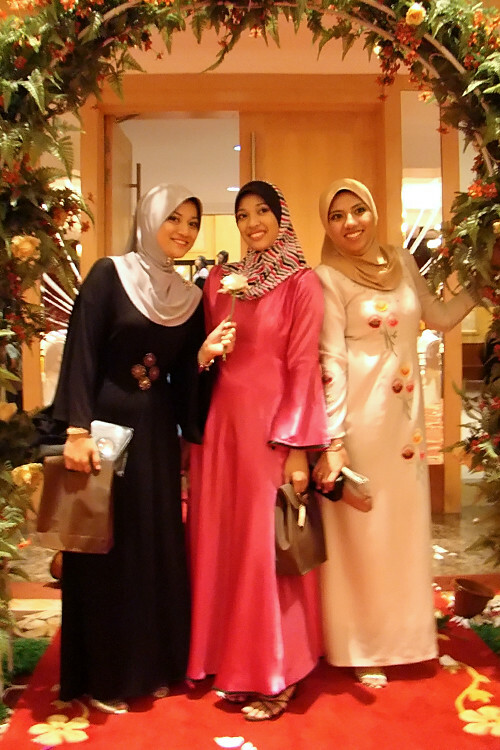 Ahh I love Malaysian culture and how the sisters in this culture dress. Such beautiful people and culture MashAllah! Looks like they're in a wedding party. Gorgeous ladies mashaAllah! I especially like the black one with that nice detail on the front :) But everyone is covered nicely and discreetly - I like the effect Masha'Allah! Just out to dinner?! Wow these ladies sure know how to look fancy!